If you have somehow managed to get to 2018 without hearing the name of Paul Pogba, we’d be quite impressed in a way. The big Frenchman is among the finest midfielders in the world game; a unique blend of grace, style, personality and raw power. Whether he’s nutmegging a fellow midfielder or lashing an unstoppable drive from distance, the fiery midfielder has earned his right to be among the global pantheon of midfield stars. At 24, he’s maturing into the next midfield legend at Manchester United. Following an acrimonious exit from the club due to a lack of playing time under Alex Ferguson, Pogba made his way over to Italy with Juventus. In Turin, he established himself as a global star and quickly became an icon for a club perpetually in the midst of winning titles. In four years in Turin, he clocked up over 150 appearances and won several medals, including four Serie A crowns as the Old Lady became one of the most dominant sides in the European game. 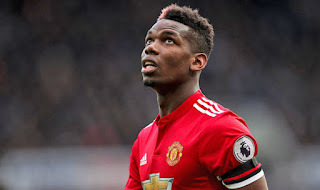 While his then-world record move back to Manchester United is yet to truly catch fire, a League Cup and UEFA Europa League is a fine start to his return to Manchester. Seemingly set with the aim of finishing off what he left behind the first time, the 2013 Golden Boy has all the talent and aptitude to make it at the top of the game. His unique blend of power, precision, persistence and personality makes him the kind of player that is so easy on the eye. While his critics might say he is yet to score enough goals or truly blossom into a world-record worthy player, there’s much to admire about Paul Pogba. For years to come, he’ll be remembered as a genuine Premier League great. For many, Leroy Sane is the perfect representation of the Premier League star midfielder. 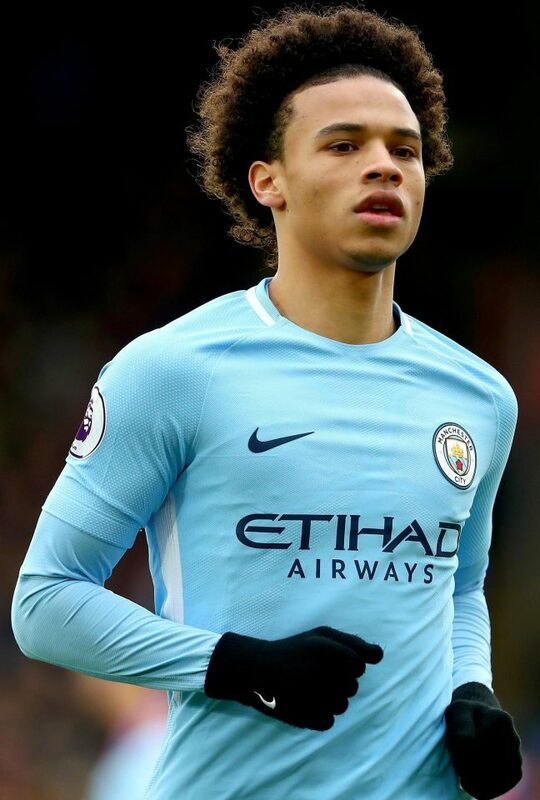 An eloquent blend of power, speed, technique and invention, Sane is among the finest players in the dvision despite only being aged 22. The Essen-born star started his career at FC Schalke, before a quick jaunt to Bayer Leverkusen seen him return to Gelsenkirchen. This time, he stuck around and in two seasons became a player Schalke fans will remember for a long time to come. From an impudent goal against Borussia Dortmund to a stunning performing against Real Madrid in the Champions League, Sane is a player of notable repute for one so young. Already a regular German international, the 6ft wide man has quickly established himself as a player who can make even the best full-backs full on their backside. His electric turn of pace, incisive shooting and unbelievable passing accuracy for a winger makes him a true stand-out in the industry. When he made his move to Manchester City in 2016, some doubted if he was ready for the step-up to become a key man under Josep Guardiola. Quickly, though, he settled in tote way of life in England and immediately established himself as one of the most electric talents in his age group in any division. He’s also been a player who had to overcome some odd challenges; for example, his first season at City was ruined due to a nose issue that made it hard for him to breathe. Corrective surgery has helped him be the stand-out player of the 2017-18 player in his age group. Just behind the likes of Salah for week-in, week-out impact, he’s quickly become one of the most satisfying players to watch as he turns seasoned international defenders into shadows of their former selves. When it comes to finding that extra verve as a national side, few games can be more worthwhile from an educational standpoint than playing Brasil. While the USA came out the other side as 2-0 losers, they will have likely learned a fair amount. Will it be enough to help them come up against the old rival in Mexico, and produce a performance worth remembering? The game against Brasil will have left an impact on the USA players, not least from a defensive organization standpoint. While Mexico are clearly not as good, they have a similar attacking penchant and could easily cause some problems for a USA defence that looks and feels like it needs more of a refresh. We expect Timothy Weah to get a start in this one, as he’s impressed in most of his games so far in the national team. Meanwhile, El Tri come into this one knowing they need to find some form – and fast. Routed 4-1 against Uruguay on Saturday night at home, they need a result here to try and get the fans back onside. The Mexico project feels a little stunted at present, and it’ll be interesting to see how they deal with playing a side less powerful on the break. Uruguay are the perfect antithesis to how Mexico play; the States aren’t quite so effective in transition. For Mexico to win, though, they’ll need to maintain a solidity at the back they often find quite challenging. We can see this being a Mexico win, but with a lot of effort needed to get there. The USA have shown they can be stodgy and hard to break down, but it’s hard to see them making the most of the Mexican gaps in defence due to their paucity up front. If Mexico can shake off the pain of the Uruguay game, they could definitely come out the other side here with a positive result.